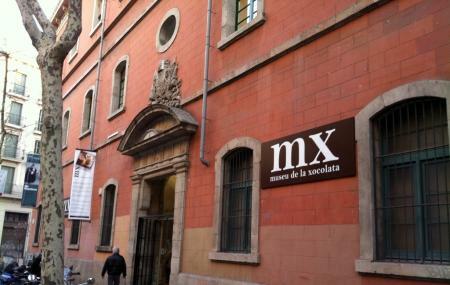 The Museu de la Xocolata is a small privately owned chocolate museum that will have your mouth watering from the moment you enter. It is owned and operated by Gremi de Pastisseria de Barcelona (the city pastry-makers' guild). The museum showcases the history of chocolate from its development, making process, medicinal uses and trade in Europe through exhibits and audio-visual displays. You will also find displays that house intricate chocolate sculptures of several of Barcelona’s important structures. The museum also conducts worshops and hosts various events and activities on chocolate. And of course you can buy a vast variety of chocolates! Last admission to the museum is 30 minutes to closing time. The whole museum is accessible to disabled people. You get one chocolate bar per ticket. Discounted entry of 10-15% for disabled, children, students and youth with valid idcards. Metro: L4 stop Jaume I and L1 stop Arc de Triomf. How popular is Museu De La Xocolata? People normally club together Trenhotel Salvador Dali and Espai Barroc while planning their visit to Museu De La Xocolata. A great place to visit if your a chocolate fan. Some great chocolate artworks. History of chocolates influence in Europe. Also when your finished you can eat your ticket! I wont spoils it go and see! Nice. The ticket is a dark chocolate bar. The museum is small, but interesting. A lot of chocolate sculpture. The bar instead is not more interesting than other places in town. Unfortunately very few offer for allergic people (milk derivates were in every product).